COOPERSTOWN - Edward C. Smith, owner of Smith-Cooperstown, Inc., died Saturday evening, January 21, 2017, at Bassett Medical Center in Cooperstown. He was 78. A Native Son of Cooperstown, Ed was born March 23, 1938, at Mary Imogene Bassett Hospital, a son of Evelyn Amelia Wheeler of Cooperstown and Harry William Smith of Minneapolis, Minnesota. After graduating from Manlius Military Academy, Ed attended Palm Beach Junior College and later graduated from the University of Miami with a bachelor's degree in business administration. 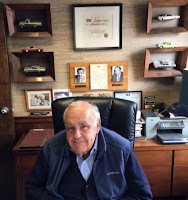 For many years he served as President and Owner of Smith-Cooperstown, Inc. He was also a strong supporter of the many public and private institutions, organizations and businesses in the area, and was always willing to offer advice and assistance where needed. 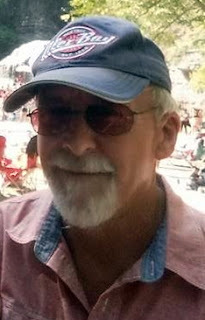 Chad Welch, a long-time employee and friend of Ed's, wrote a touching tribute to his mentor, which includes - in part - the following thoughts that eloquently sum up Ed Smith's life: "Ed was a reserved and humble man, never one for attention or ever seeking praise, as quiet about his many successes as he was of his considerable generosity. Ed would much rather rub elbows with race car fans at a backyard barbecue or clambake than mingle with socialites at banquets and black tie parties. His very best and closest friends were true salt-of-the-earth working class folks, and he most enjoyed the close company he kept with those of us who worked for him. My family, and our Smith-Ford family, lost a great boss, fatherly figure and friend." Another colleague and friend has stated: "Ed was both a gentleman and a gentle man." He influenced and touched many people's hearts and lives and will always be remembered. Ed is survived by his long-time partner and companion, Norma Onyan of Cooperstown; Norma's children that Ed considered his own, Louise Wayman of Toddsville, Gregory Onyan of Fly Creek and Terry Onyan and his wife, Wendy of Fly Creek; one sister, Rose Belle Smith Broeffle of Vero Beach, Florida; one brother, James D. Smith and his wife, Mary Jane, of North Hutchinson Island, Florida, and Norwich; one sister-in-law, Patricia Manley Smith of Norwich and Cooperstown; and numerous nieces and nephews as well as his extended family at Smith-Cooperstown, Inc. and a multitude of friends and acquaintances. He was predeceased by one sister, Shirley S. McCabe; two brothers, Robert Frederick Smith and Harry William (Bill) Smith; and his brother-in-law, William Broeffle. A Memorial Service will be offered at 2 p.m. Monday, January 30, 2017, in The Louis C. Jones Center in the Main Barn at The Farmers' Museum, 5775 State Highway 80,Cooperstown, with the Rev. Betsy Jay, Chaplain at Bassett Medical Center in Cooperstown, officiating. Ed will be laid to rest later this Spring in Lakewood Cemetery, Cooperstown. In lieu of flowers, Ed's family respectfully requests that those who wish to remember him through a memorial donation consider the following organizations: Friends of Bassett, 1 Atwell Road, Cooperstown, NY 13326; Cooperstown Fire Department, P.O. Box 1, Cooperstown, NY 13326; Cooperstown Emergency Squad, P.O. Box 322, Cooperstown, NY 13326; or Susquehanna Animal Shelter, 4841 State Highway 28, Cooperstown, NY 13326. Arrangements are under the care and guidance of Martin H. Tillapaugh and Peter A. Deysenroth. HARTWICK - Lewen "Lenny" Ray Webb, 66, of Hartwick, passed away Sunday morning, January 22, 2017, at Bassett Medical Center in Cooperstown. Born August 4, 1950, at Chenango Memorial Hospital in Norwich, he was a son of the late Raymond W. and Vera J. (Stratton) Webb. A graduate of New Berlin Central School, Lenny was drafted into the United States Army on May 12, 1970, and proudly served his country during the Vietnam War. Following his honorable discharge on May 11, 1973 he returned to New Berlin and for a time was employed at the Roostertail Bar and Grill where he met his wife, Colleen. On June 20, 1981, Lenny married the former Colleen A. Morton in Morris. He worked for Jerry Russell painting, then moved on to work at New Berlin Recreation Lanes, until he became a self-employed painter and painting contractor. He was employed for six years in the maintenance department at The Otesaga Resort Hotel and for the past five years at Cooperstown Dreams Park. In his younger days he enjoyed his free time on the bowling league at New Berlin Recreation Center. He was also a member of the South New Berlin Horseshoe Club. An avid sports fan, Lenny enjoyed NASCAR, watching football-especially the New York Giants-and was a devoted fan of the New York Yankees. He also enjoyed camping and fishing, and was a faithful member and current Finance Officer of the Hartwick American Legion Post No. 1567. Lenny was a devoted husband and father who always enjoyed being with his family, especially for their annual Memorial Day and Father's Day celebrations at Gilbert Lake State Park. While his children were in school, his home became a haven for their many friends, and he always enjoyed being with them for the many bonfires they held on their property through the years. Lenny will be greatly missed by his wife of 35 years, Colleen A. Webb of Hartwick; and their two children, Traci Lynn Webb of Burdett and Michael Lewen Webb of Jacksonville, Florida. He is further survived by his three brothers, Brian Webb and wife Linda of Richfield Springs, Leslie Webb and Joan Toenies of Wells, and Morris L. Webb of New Berlin; and many nieces and nephews. Friends may call at the Hartwick United Methodist Church from 4-7 p.m. Thursday, January 26, 2017, when Lenny's family will be in attendance. Funeral Services will be at 11:30 a.m. Friday, January 27, 2017, at the Hartwick United Methodist Church with Pastor Richard Howard officiating. Interment will be in Hartwick Cemetery in the Spring of 2017. Contributions in Lenny's memory may be made to the Hartwick American Legion Post No. 1567, P.O. Box 262, Hartwick, NY 13348, and the Hartwick Emergency Squad, P.O. Box 208, Hartwick, NY 13348. 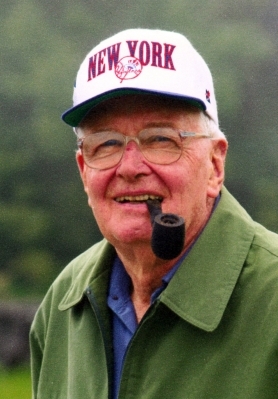 Funeral arrangements are under the guidance of the Connell, Dow & Deysenroth Funeral Home in Cooperstown. 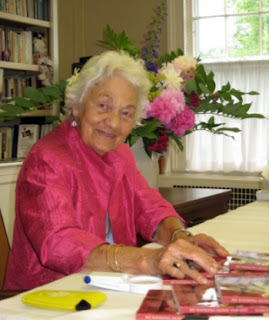 COOPERSTOWN – Nancy Waller, world-traveler, advocate for peace, social justice and prison reform, lifelong writer and artist, died peacefully January 10, 2017, at the Clara Welch Thanksgiving Home, Cooperstown, NY, her three daughters and pastor at her side. She was 98. Born Anne Bigelow Thomson in 1918 in Nanking, China, Nancy was a daughter of Dr. ​James Claude Thomson and Margaret Seabury Cook Thomson. She grew up in pre-Communist China. Her father, a biochemist, was head of the Chemistry Department at the University of Nanking, one of several Christian colleges established in the early 20th century to educate China’s ‘best and brightest’. Her mother, a Smith College alumna, taught literature there; she also advised their neighbor, whom Nancy knew as ‘Aunt Pearl’, on a manuscript that was later ​published as The Good Earth. Aunt Pearl was of course Pearl Buck. Nancy described her childhood in My Nanking Home, self-published in 2010, as a “haven of affection and acceptance for us and our friends”. She attended Hillcrest international elementary school in Nanking, then Shanghai American School, a boarding school, graduating in 1936. Her schoolmates included Huston Smith, known today for his authoritative studies of the world’s religions, and Harriet Mills, who became a Chinese scholar—but not before imprisonment in China as a spy. Nancy attended Ginling College, the women’s college of the University of Nanking, for her freshman year, leaving Nanking, as tensions were rising, just months before Japanese forces invaded the city in what is referred to as the Nanking Massacre. She attended the Geneva College for Women, in Switzerland, her sophomore year, then Smith College, Northampton, Mass. It was only her second ​academic experience in the United States, her first being middle school at Miss Fine’s in Princeton, NJ when the family was on furlough. After gaining secretarial skills—something all young professional ​women needed to do—she worked for the Chinese Industrial Cooperative, a​ supposed radical group that later merged with the well-known​ United China Relief. Then, “no longer noisily a pacifist,” she enrolled in the Harvard-Radcliffe Program in Business Administration program (today part of the Harvard Business School which women could not attend in that era). Her advanced degree took her to the personnel department of Time-Life, where she made her mark by hiring Henry Grunwald as a copy boy. Grunwald was to become managing editor of Time magazine in 1968. It was on a blind date when Nancy was at Smith that she first met Julius Earll Waller, Jr., a Princeton student. She called him Jerry. On April 4, 1943, they were married in Kearney, Nebraska, where Jerry was stationed in the United States Army Air Forces. Jerry received orders for Europe, where he remained until the end of the war. Nancy, who lived in New York City and worked at Time-Life, bought a Roseboom farm advertised in The New York Times. ​​boarding school for boys ​in South Kent, CT, where Jerry taught French and Latin and coached athletics for the next 35 years. South Kent was also where they raised their family: three daughters, Anne, Sydney, and Margaret, grew up on the school campus. In 1957-1959, the Wallers moved to France, where Jerry earned a graduate degree at the University of Poitiers. They enrolled their daughters—who were under the age of ten and the only Americans—in a local​ French elementary​ school. Nancy ran the household, was active in the Protestant Reformed Church, made friends who lasted a lifetime, and also learned French, which would get in the way whenever she tried to put together a sentence in Chinese. Nancy and Jerry also lived in Toulouse, France in 1974-1975. Nancy earned her Masters in Education in 1968 and taught French and French culture at Kent Center elementary school for ​eight years. Upon Jerry’s retirement in 1982, Nancy and Jerry embarked on an eight-month road trip around the perimeter of the country, before taking up residence in Cherry Valley, NY. Their house had been built in 1793, and it had a name—Willow Hill. They had bought it years earlier on Nancy’s whim, and had painstakingly restored both the historic house ​and the grounds, creating magnificent gardens. In the 1990s they sold Willow Hill and built an entirely new house on a hill in Roseboom to be closer to the woods of Jerry’s tree farm, managed since 1948. Nancy was a witty, passionate woman, interested in the world, people, politics, peace. In the last decade she read Chinese history, studied the Revolutionary and Civil Wars, and American presidents. Although her hearing and sight diminished, she remained well-informed and fully conversant on issues of the day and regularly wrote letters to the editor, officials and Supreme Court justices. She was an active member of the First Presbyterian Church, a Bassett volunteer, an early member of the Opera Guild and of many other organizations. She was an activist who literally stood up for what she believed in—every Wednesday at noon ​in front of the Cooperstown Post Office, protesting wars and bad politics, since the tragedy of 9/11. Nancy is survived by her daughters, Anne Seabury Waller Auerbach; of ​Brookline, MA; Sydney Lancaster Waller, Cooperstown, NY; and Margaret ("Peggy") Earll Waller Burhoe and husband, Richards, Brookline, MA; six grandchildren: Peter (Brooklyn, NY), David and wife Peninah (Nairobi, Kenya), Jocelyn and husband Jason (Denver, CO), Rebecca (Nairobi, Kenya), Samuel (Portland, ME) and Anna (Brookline, MA); and many cherished nieces and nephews and friends. Jerry, her husband of 70 years, died in 2013. She was predeceased by her sister, Sydney Thomson Brown, and brothers, James Claude Thomson, Jr. and John Seabury Thomson, who spent their childhood with her in Nanking. A service of thanksgiving for the life of Nancy Waller will be offered at 3PM on Saturday, February 4, 2016, at the First Presbyterian Church, Cooperstown, NY with the Rev. Elsie Armstrong Rhodes, pastor, officiating. HARTWICK - Mrs. Angelina S. Schlesier, 81, of Hartwick, died unexpectedly on the evening of January 9, 2017 in her home. Angie was born August 18, 1935 in Wyandanch, New York on Long Island as ninth of twelve children to Guido and Lucy Cioffi. Angie was employed as the manager of Conservative Gas Co. of Wyandanch after graduation from Huntington High School. On June 2, 1957, Angie married Anthony G. Schlesier in a ceremony at Our Lady of the Miraculous Medal Mission Chapel in Wyandanch. Tony and Angie were blessed with four daughters and have spent the past 50 years on their on their farm in Hartwick. Angie was an integral part in the successful operations of the dairy farm, as well as the numerous businesses that she and Tony have owned throughout the years. In her later years, Angie was a member of the Hartwick Senior Aerobics Group, which she truly enjoyed and loved her companions who joined her each week. Angie was well known for her engaging smile, contagious laughter and pure soul that positively impacted every person who was blessed to know her. Angie was the keeper of the flame for the Schlesier family and her legacy of love will live on with all of her family members. Angie is survived by her husband of almost 60 years, Tony, of Hartwick; their four daughters, Elizabeth Flaska (Scott), of Albany; Lucy Dubray (Robert), of Ossining; Theresa Davis (Gary) of Camp Verde, Arizona; and Mary DeNike (Chris) of Hartwick. Six grandchildren and eight great-grandchildren. She is further survived by one sister, three brothers, and numerous nieces and nephews. Angie was pre-deceased by three sisters and four brothers. Calling hours will be from 3:00 pm to 5:00 pm on Saturday, January 14, 2017, at the Connell, Dow & Deysenroth Funeral Home in Cooperstown, NY. A prayer service will conclude the visitation at 5:00 pm, officiated by her daughter Elizabeth Flaska. The Committal and Burial Service will be at the Saratoga National Cemetery in Schuylerville on Tuesday, January 17, 2017, at 1:30 pm. HARWICH, MASSACHUSETTS - Jane Spraker Potrikus, 89, of Harwich, Massachusetts, and formerly of Cooperstown, New York, and Little Falls, New York, died January 6, 2017, after a brief battle with cancer. Her life centered on devotion to her family and to her Catholic faith. She was a communicant of and proud alto for the choir at Holy Trinity Parish in West Harwich, Massachusetts, where, until November 2016, she volunteered weekly for the Perpetual Adoration Chapel and work at the parish thrift shop. Jane was the only child of Francis and Jennie Spraker of Little Falls, New York. She, in turn, is survived by nine children: Ellen Barber of North Adams, Massachusetts; James (Heidi) of Kansas City, Kansas; Joan (David) Bruce of Clifton Park, New York; Michael of New Bern, North Carolina; Joseph (Doreen) of Fly Creek, New York; Timothy (Lisa) of Somers, Connecticut; Ted (Angie) of Niskayuna, New York; Marilyn (Joel) Habercorn of Hartwick, New York; and Anthony (Peter) of New Bern, North Carolina. She also is survived by 25 grandchildren, 14 great-grandchildren, and one great-great grandchild. She is predeceased by her parents, her husband, John (1978), her son, Charles (1975), and her daughter, Catherine (2011). Jane was graduated from Little Falls High School and the Utica School of Commerce. She was employed at the H.P. Snyder Bicycle Manufacturing Corporation of Little Falls, where she met her World War II Veteran husband-to-be, John M. Potrikus. They married in 1948 and moved to Cooperstown, where Mr. Potrikus opened and operated the Cooperstown Dry Cleaners. Upon her husband's death, she assumed the ownership of the family business and operated it with her son, Michael. Jane moved permanently to Cape Cod in 1986, and was graduated from the Sheffield School of Interior Design in 1989. She was employed by Bayfair Design Studio in Orleans, Massachusetts, for many years. She participated in parish activities and community groups, and always welcomed family and friends to share her hospitality and love for the Cape. She enjoyed travels with family and friends and kept a busy schedule until the final weeks of her long life. Jane spoke often of her deep pride for the accomplishments that each of her 11 children and their respective families had achieved. Her children and their families will continue to speak of her as a role model, wise and devoted advisor, cheerleader, and motivator to whom each could turn without hesitation. Each whom she leaves behind and the many who knew and loved her throughout her life could fill pages with stories of her unassuming compassion, wit, courage, intelligence, selflessness, creativity, cooking, budget-stretching, and countless other skills for which she had boundless talent and energy. Overriding them all would have been her quiet humility, because were she to read this particular paragraph she surely would chide its authors for overstating her place in our lives. For just this once, though, we respectfully would correct her. Calling hours are from 10 a.m. to 12 Noon only on Thursday, January 12, 2017, at St. Mary's "Our Lady of the Lake" Roman Catholic Church, 31 Elm Street, Cooperstown, New York. The Liturgy of Christian Burial follows immediately thereafter (beginning at Noon) at St. Mary's "Our Lady of the Lake" Roman Catholic Church, 31 Elm Street, Cooperstown, New York. Jane's family will be in attendance at a reception in the Parish Center after the Mass. Interment at St. Mary's Cemetery in Index, New York, follows at a date to be determined. In lieu of flowers, please make donations in Jane's name to The McCarthy Care Center, 73 Service Road, East Sandwich, MA 02537.